Tamara Ecclestone, the daughter of F1 billionaire, Bernie Ecclestone, has shared a picture with the world of her breastfeeding her baby despite her child being almost three-years-old. 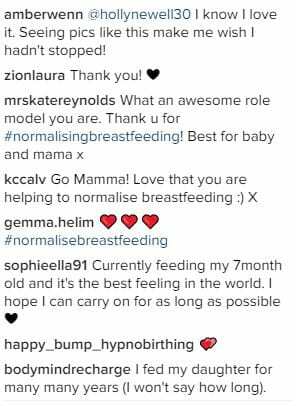 Last year Tamara revealed that she wouldn’t stop breastfeeding her child, Sophia, until she was ready to stop and she’s clearly stuck to her guns, reports the Daily Mail. Despite the NHS website telling new mothers to breastfeed their child for the first six months it is thought that continued breastfeeding has dozens of benefits the longer you keep it up. 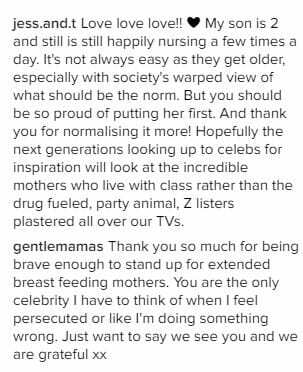 The photo, shared on Instagram, has been met with countless comments of admiration to Tamara for normalising breastfeeding despite the stigma it reportedly faces. Apparently prolonged breastfeeding increases your childs chance of fighting infections and some studies even claim that it can help your child digest solid foods as they grow older. However aside from all of this, and the NHS’ recommendations, just one out of every hundred women continue to breastfeed for the full first six months. Tamara’s snap was uploaded yesterday while she waited for her private jet to take off amidst heavy snow writing in the caption: ‘Delays delays delays and finally we are off’. As you can probably imagine though, it wasn’t the delays that got the commenters talking but the picture itself.